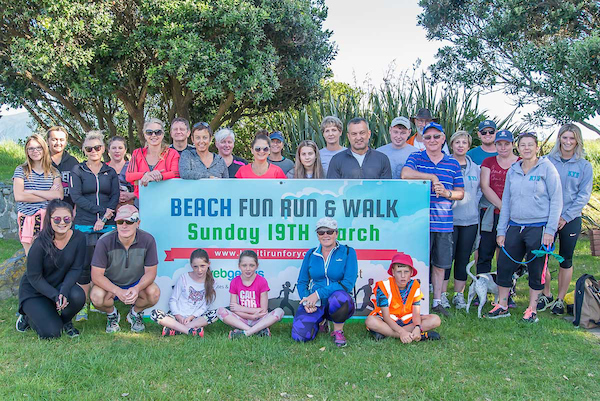 The Web Genius Kapiti Run for Youth fundraising model is focused on returning as much money as we can on an annual basis via official Fundraising Partners who are working in the local Kapiti youth space. All funds raised are split 70-30, meaning, 70% is paid to the Fundraising Partner chosen by the participant at the time of registration and 30% is retained to go towards the running and promotion of the event. To be an official Fundraising Partner you need to be working in the ‘youth space’ in Kapiti. It is important for participants to understand the significance around their choice of Fundraising Partner as 70% of what they raise will be returned to that Partner. “We like this approach as we believe it offers a strong incentive for a variety of youth-based organisations to get involved and raise as much money as possible to use within their work to benefit youth initiatives in Kapiti. Fundraising Partners are encouraged to promote their involvement as then participants can be thoughtful about who they choose to raise money for,” says Helene Judge, Campaign Manager. Registered as a charity, El Rancho is a not-for-profit organisation. We serve some 15,000 guests annually including numerous families and over 250 different groups both regionally and nationally. The main services offered include accommodation, catering, conferences, ministry programmes and activities. El Rancho’s guests span all ages and demographics; we serve individuals, families, schools, corporate, church and community groups. Generations of people have been touched by El Rancho’s generous hospitality creating life-changing experiences. El Rancho exists to share the good news of Jesus Christ, and serve people of all ages through conferences, conventions, camps, and holiday activities. Kāpiti College is a decile 8 state co-ed school and has a roll of over 1500, including 71 international students from many different countries. Kāpiti College has sister schools’ in China, Japan, Vietnam and Thailand. There are many groups of short term visitors that arrive and are hosted here. Every year groups of Kiwi students visit other countries. Kapiti College is truly an international school. Kāpiti College takes pride in the academic success of its students and the many graduates who have gone on to have stellar careers in the sciences, technology, arts and business. However, we take equal pride in seeing all of the children who enter the College in Year 9 leave as young men and women, ready and prepared to set their course in the world outside. Whether they stay and work in their own community or travel to the furthest regions of the planet, we want Kāpiti College people to be good people who will leave a positive mark on their communities. The principal purpose of the Kapiti Youth Achievement Trust is to support high achieving Kapiti youth between the ages of 12 to 24 by providing them with extra resources that will allow them to achieve their full potential within a recognised discipline such as arts, science, development of coaching and leadership skills, and/or an apprenticeship. The Trust operates in the geographical area that is subject to the jurisdiction of the Kapiti Coast District Council. The Trust fosters excellence within the region by supporting individual high performance, competitive representation, training and development. Kapiti Youth Support (KYS) is a Youth One Stop Shop committed to providing the most effective services to meet the health and wellbeing needs of Kapiti youth. We’re passionate about providing services which truly make a difference and that means not only working closely with youth but also with families and the community. Since opening in 1996 we have worked hard for excellence, while improving and extending the services we offer to our 5,200-young people. This figure demonstrates that we are meaningfully engaged with approximately 78% of Kapiti youth (Census 2013 figures). This high level of engagement is the direct result of the consistent efforts of our highly qualified team in contributing to the positive development of healthy young people as they transition into adulthood. The KYS team is experienced in working with young people and responding to their needs in a manner that achieves results. Paraparaumu College is a caring community of great learners. We are a co-ed secondary school with 1200 students from Years 9 to 13 graded within decile 8 yet drawn from the whole range of Kāpiti’s socio-economic groups, reflecting New Zealand as a whole. Our Strategic Plan outlines developing partnerships and approaches that reflect New Zealand’s cultural diversity and the unique position of Māori culture within Kāpiti and Aotearoa. Paraparaumu College’s learners are summarised through our ‘Great Learner’ values. As a caring community, we aspire to be collaborative and active learners, respectful in our relationships with each other and effective self-managers. We are a ‘Positive Behaviour for Learning’ School and our focus is to reinforce and extend our relational approaches. We have a strong record of student academic achievement, success in sport and the performing arts and we are a Wellington Loop school to help transform learning at Paraparaumu College in the digital age. Zeal is a not-for-profit youth organisation dedicated to helping young kiwis discover, express and develop their unique creativity. In supporting us, you support the care and development of young people. At ZEAL, our promise to every young New Zealander is that we will passionately pursue, enable and support the fulfilment of their creative potential. We are a family of passionate, creative misfits who believe that every young kiwi is creative and who dedicate our lives to helping them discover, express and develop their unique creativity. We provide places of acceptance and belonging, a listening ear and practical help, vocational pathways in creative pursuits, moments of creative celebration and action on social issues affecting young people. Original generation time 1.3520 seconds. Cache Loaded in: 0.0284 seconds.